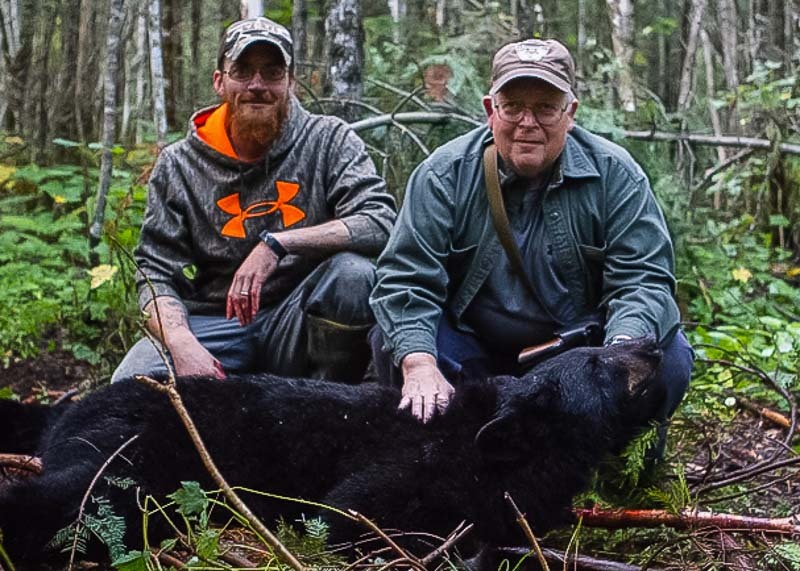 By choosing a bear hunt from our Lodge facilities you will be getting the best of both worlds, a high quality, high success hunt in the remote woodlands of northwestern Maine while staying in our comfortable modern cabins and lodge. We travel from Allagash Village into the North Maine Woods each day for our hunts. Your day begins around 8:00 a.m. with a big breakfast and at 11:30 each day we depart for the backcountry to check bait sites, have lunch and begin sitting hunters at their sites around 2:00 p.m. You will hunt until 8 or 9 p.m. at your site each day and return back to Allagash each evening. Each morning, successful hunters go to our photo location, with the St. John River as a background, for high quality photos of your trophy. Success ranges from 50 – 80% with sightings generally 90% or more. 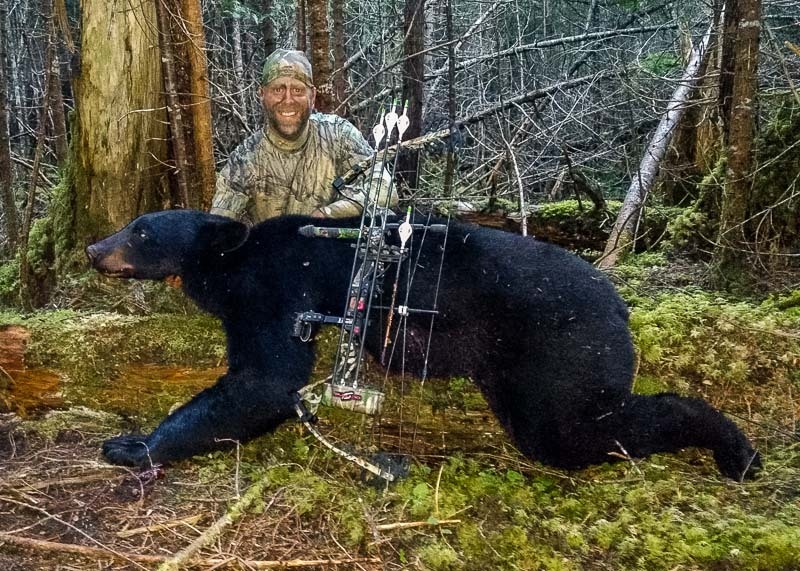 Many hunters will tag a bear early in the week so we encourage you to continue going out with your guide each day. Hunters can enjoy free coyote hunting with the guide by utilizing electronic calls, help the guide bait other hunting sites or spot a bull moose on your travels throughout the region. We try hard to make the hunt a full experience for you to enjoy while you are here. In order to ensure your comfort and enjoyment we assure each hunting group, no matter what size, that they will have their own private cabin. We do not mix hunting groups, single hunters are welcome and we have two private bedrooms in our main lodge. Cabin amenities include full bathrooms, kitchens, cable TV, wood / oil heat and phone and wireless internet service at the lodge. 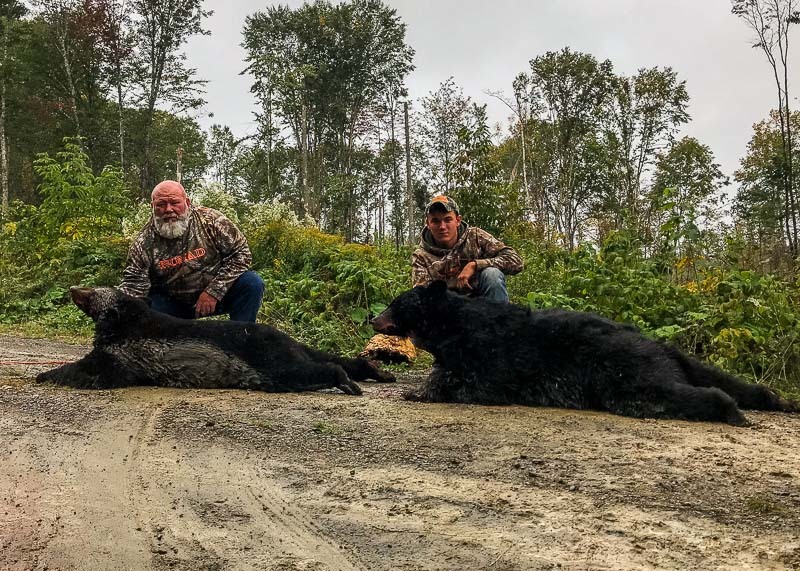 Hunt includes 6 nights of lodging, 5 days of hunting, meals, guide, transportation to and from hunting area, private land access fees, game skinning and processing, free coyote hunting and fishing for brook trout and muskie.